Performance car bargain. Great to drive. Interior better than predecessor. 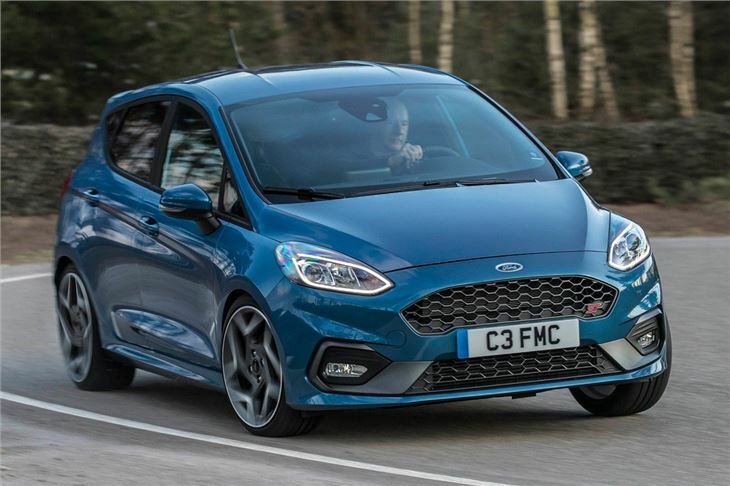 The Ford Fiesta ST has had the more attainable hot hatch market sewn up in recent years. 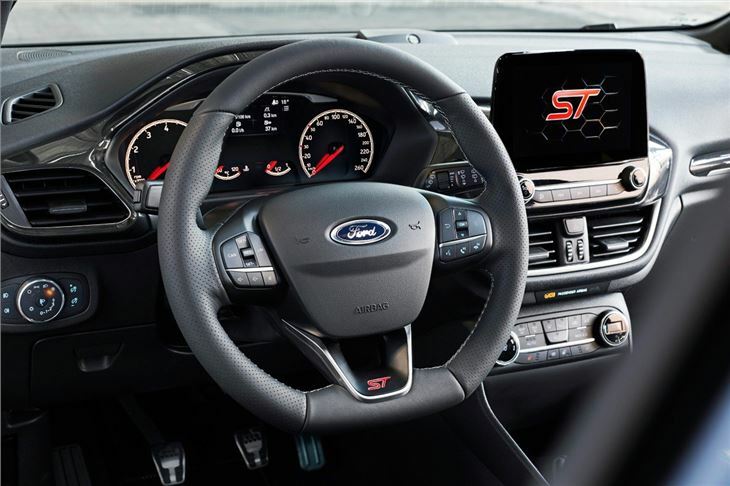 The last generation model is sure to go down in history as one of the best fast Fords ever sold, putting a huge amount of pressure on the firm not to get things very wrong with its successor. There was an era when the hot hatch was a rite of passage for young drivers. As soon as they could afford the insurance, they’d chop in their old bangers for something that looked like a sensible hatchback but featured a large, naturally-aspirated engine under the bonnet. But when you think of hot hatches these days, cars like the turbocharged Honda Civic Type R and Ford Focus RS probably spring to mind. These are now extremely powerful with more than 300PS. But they’re also pricey, costing more than £30,000 and feel like the next level over traditional, easy-to-fling-about hot hatches. But this Fiesta ST actually uses a smaller engine. Powered by a downsized, three-cylinder turbo unit - a 1.5-litre petrol producing 200PS to be precise - enthusiasts were a tad concerned when it was first announced. Surely a diddy little three-cylinder engine couldn’t provide the same amount of fun as the previous four-cylinder engine? 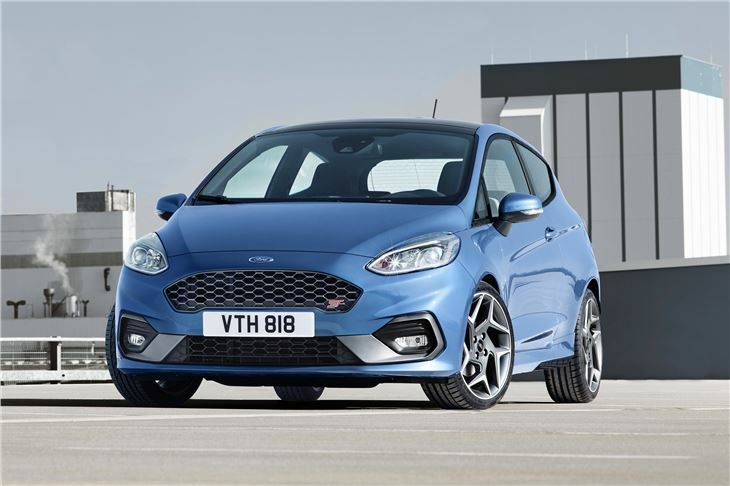 Well, as you lift off the accelerator in sport mode (selectable drive modes are available on the Fiesta ST for the first time) and the exhaust pops on overrun, any doubt about the Fiesta’s fun factor are soon put to one side. But it’s not just this party piece that makes the latest Fiesta ST so desirable. It feels genuinely quick. 200PS in a car this size is enough to reach 62mph in 6.5 seconds, while the handling is nothing short of superb. The steering - which errs marginally on the side of skittish - is quick to wind from lock to lock, providing bundles of feedback in the process. The driving position from the standard Recaro seats is good - not as high up as the previous model, fortunately - and the car begs you to drive it hard. 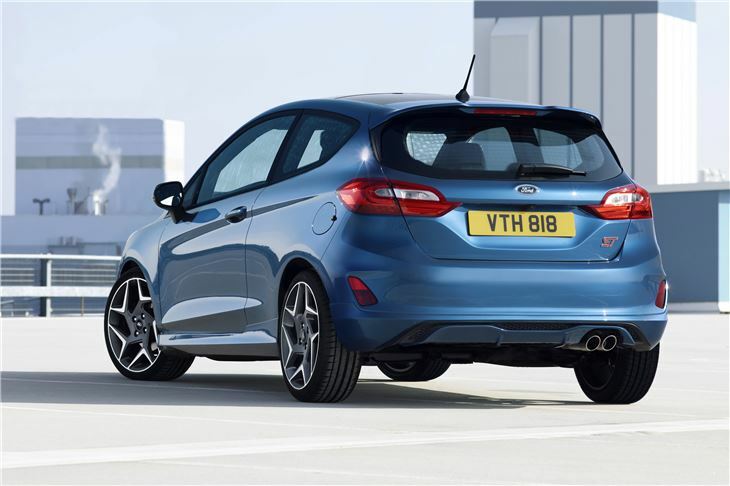 But those selectable drive modes mean the Fiesta ST will also happily sit on the motorway or whizz around town should you wish. It’s a versatile car, one that can comfortably be driven every day without costing the earth yet also punch well above its weight in terms of driving pleasure when the mood takes you. 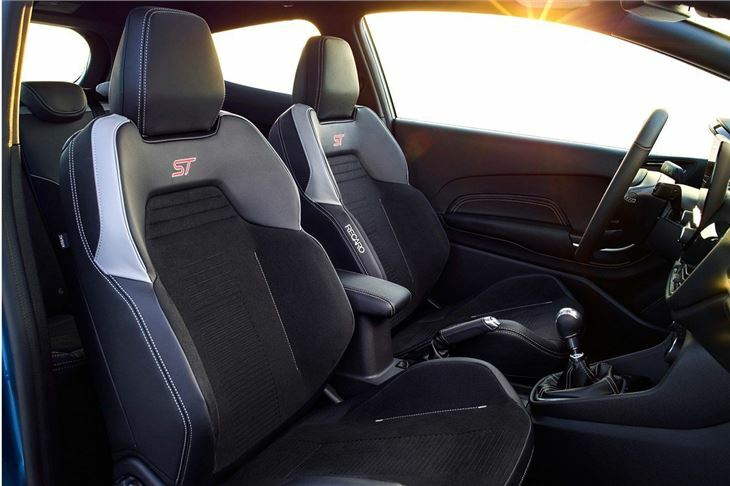 Although the new model isn’t visually hugely different from its predecessor, the interior is a huge step up. Although it stops short of being as premium as a MINI, it’s easy to get comfortable and the 8.0-inch infotainment screen is easy to use. 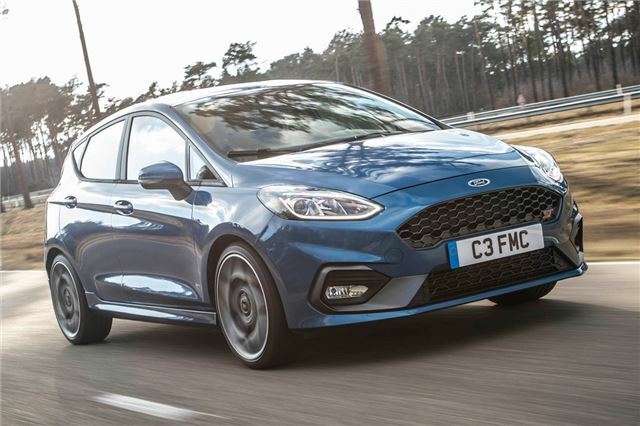 Ford could so have so easily misjudged the Fiesta ST but, fortunately, it hasn’t. 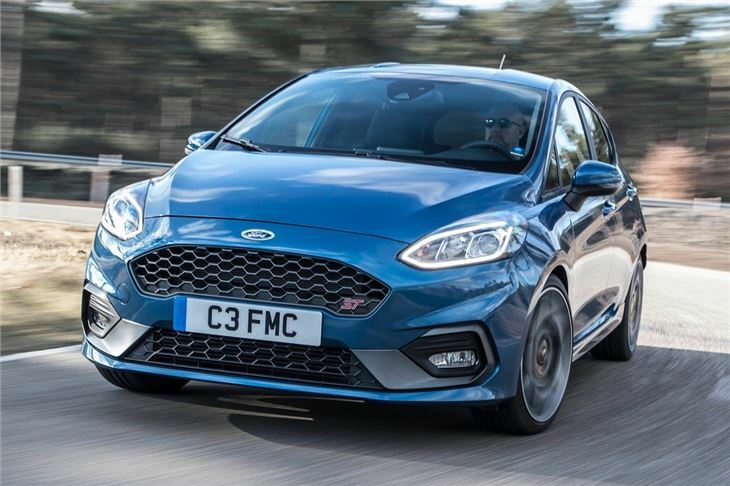 It’s taken the already brilliant Fiesta hatchback and given it all you could ask for from a hot hatch costing less than £20,000. It’s an absolute joy to drive, but also isn’t a compromise in other areas. The interior’s pretty good, and the running costs won’t ruin you. Quick, good on fuel and all round amazing hot hatch.